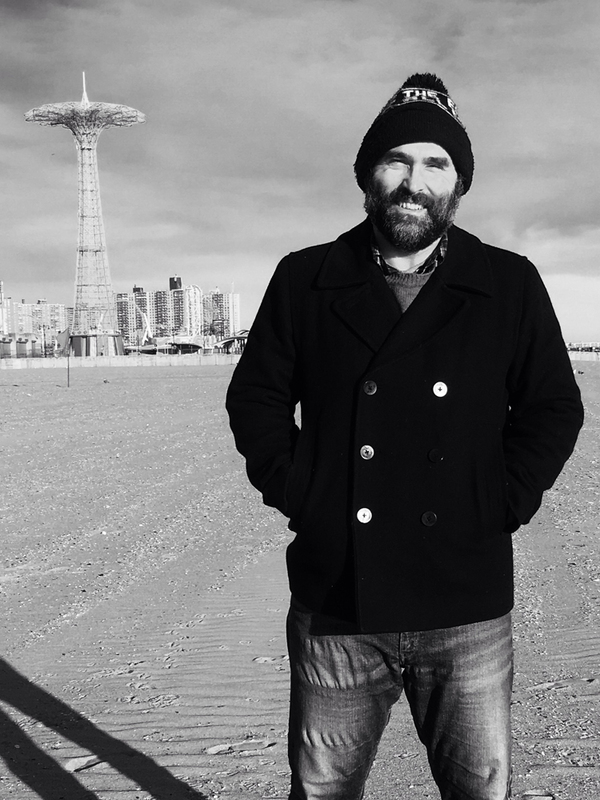 Tom Andes’s writing has appeared in Witness, Great Jones Street, Guernica, Pulp Modern, Xavier Review, The Best American Mystery Stories 2012 (Mariner Books, 2012), and in numerous other journals in print and online. He lives in New Orleans, where he works as a freelance writer and editor and moonlights as a country singer. He teaches for the New Orleans Writers Workshop, which he cofounded, and hosts a monthly fiction night at Blood Jet Poetry Series, which was founded and is hosted by Megan Burns. For the last couple years, series founder and host, poet Megan Burns has allowed me to invite readers for a monthly fiction night. Last December, I asked two of the contributors to the Mississippi Noir anthology published by Akashic Books—RaShell R. Smith-Spears and William Boyle—to travel to New Orleans to read. One of my favorite things about crime fiction is the fact that it never skimps on story. By definition, the stakes are high, and as lofty as the genre’s ambitions can be, the writer is compelled to entertain. Case in point: Smith-Spears’s masterful “Losing Her Religion,” about a Jackson, Mississippi schoolteacher’s affair with a married, white colleague—a story about power, gender, race, and class—happens to be one hell of a page-turner. Boyle read from his forthcoming novel, The Lonely Witness (Pegasus Books, 2018). Like its predecessor, Gravesend (Broken River Books, 2013), a small press crime novel that belongs on a shelf next to those by giants of the genre such as Elmore Leonard, its multi-generational drama plays out across a changing urban landscape, the Gravesend neighborhood of Boyle’s native Brooklyn (he now lives in Oxford, Mississippi). Blood Jet attracts a coterie of regulars. 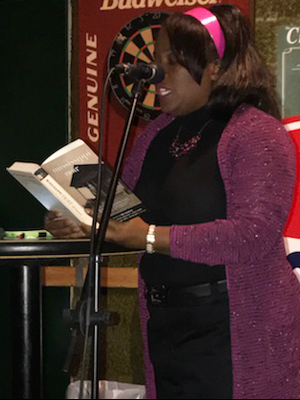 Though some—including my recently retired parents—come to listen, many read at the open mic that follows the featured readers. We had a good crowd for a rainy Wednesday in December, with the holidays fast upon us. We heard poems, a chapter from a thriller, and rock and roll. At a time when our culture seems to put so little value on art and the things it encourages in us—empathy, tolerance, and a willingness to immerse ourselves in someone else’s experience—it feels significant to come together in a way that’s so profoundly local, and in a place where everybody listens generously. Altogether, it’s a bracing reminder of what can happen when twenty or thirty people who care about writing—about anything—gather in a room. In crime fiction, as in New Orleans, setting is everything. Thanks to BJ’s for making a magical space available to us, and to the Poets & Writers’ Readings & Workshops program for helping bring our readers to town. Every time I come to Blood Jet, I walk away invigorated, challenged, and a little more alive. Photos: (top) Rashell R. Smith-Spears (Credit: Chauncey Spears). (bottom) William Boyle (Credit: Kate Farrell Boyle).